Preserving and strengthening the true values of Bohemian crystal is central to Iris Cristal and its fast-growing brand name. Iris Cristal participates in several trade missions and in the most important fairs and exhibitions in the sector. Also, it has gained recognition from leading markets: Algeria, Japan, United Arab Emirates, Italy, France, UK and USA. 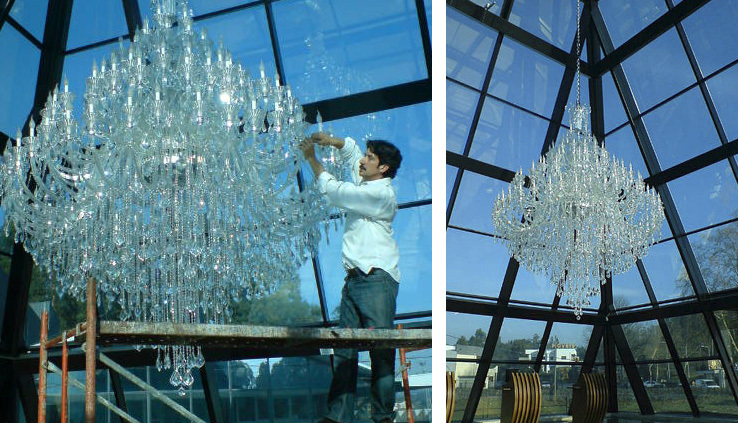 Iris Cristal chandeliers decorate hotels, theatres, embassies and private palaces around the world, all of them inspired by the heart of Bohemia.